Introduction to Proteins shows how proteins can be analyzed in multiple ways. It refers to the roles of proteins and enzymes in diverse contexts and everyday applications, including medical disorders, drugs, toxins, chemical warfare, and animal behavior. Dr. Amit Kessel obtained his master’s degree in experimental biochemistry at Tel-Aviv University, studying the innate response of human blood cells to pathogenic bacteria. During his Ph.D. studies he trained as a computational biologist, investigating the molecular basis of peptide-membrane interactions and the mechanisms of antibacterial peptides. In his post-doctoral research at Columbia University, Dr. Kessel continued studying proteins at the molecular level, focusing on various physicochemical aspects of protein-protein interactions. In 2010 he co-founded ES-IS Technologies, a company that designed novel enzymatic solutions for the pharmaceutical industry, and he headed the company’s R&D department. He is currently involved in several academic and industrial biotech initiatives, focusing on experimentally-guided protein structure prediction and on the in-vitro construction of protein-based nanoparticles. Prof. Nir Ben-Tal obtained his bachelor’s degree in biology, chemistry, and physics at the Hebrew University and his D.Sc. in Chemistry at the Technion, Israel Institute of Technology. He carried out his postdoctoral training as a computational biophysicist at Columbia University, and later joined the Department of Biochemistry and Molecular Biology at Tel Aviv University. His research covers various aspects of computational biology with a focus on structural bioinformatics and the protein universe. In particular, his laboratory has predicted the 3- dimensional structures of a number of transmembrane proteins, thereby providing molecular insight into their mechanisms. His lab also develops the ConSurf web-server for the detection of functional regions by mapping evolutionary data onto protein structures (jointly with the Mayrose and Pupko labs). "I’ve just lately used this textbook for a presentation on electrostatics. Although I have an organic background, I discovered that the explanations of electrostatic interactions are very clear and informative. The language isn’t too technical and may be easily understood by biology students. The textbook covers numerous examples and colorful illustrations, which made it easy to understand the principles discussed. The book is well organized in chapters for all the fundamental topics. 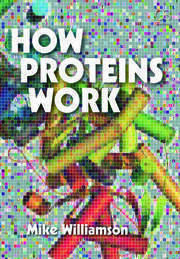 I feel this book would be appropriate for any undergraduate and graduate scholar who’s keen on proteins. … It’s complete, easy to observe and (something I at least discover uncommon for textbooks) pleasing to read. The authors don’t shrink back from any subjects, but clarify things in a straightforward method supported by ample examples. Highly recommended." Introduction to Proteins is an excellent, state-of-the-art choice for students, faculty, or researchers needing a monograph on protein structure. …The book is clear, well organized, aptly illustrated in color, and a pleasure to read. The first two chapters are an impressive textbook unto themselves … The book is thoroughly documented with citations to the literature gathered at the end of each chapter. … Overall, this is an immensely informative, thoroughly researched, up-to-date text, with broad coverage and remarkable depth. Introduction to Proteins would provide an excellent basis for an upper level or graduate course on protein structure, and a valuable addition to the libraries of professionals interested in this centrally important field. This is an important book. … This book captures in a very accessible way a growing body of literature on the structure, function and motion of proteins, and links this to more established paradigms such as a reader might find in a mainstream biochemistry text. … The text is littered with excellent examples of the wider relevance of the material covered … . The book is exceptionally well written … I learned new things from each chapter. … a superb publication that would be very useful to undergraduates, graduate students, postdoctoral researchers and instructors involved in structural biology or biophysics courses or in research on protein structure–function relationships. I would recommend it highly. The book by Kessel and Ben-Tal offers a unique combination of structure, thermodynamics and biology. I was impressed both by the breadth of the topics covered and by the depth in which they are treated. General principles are made intuitively clear based on well-chosen examples, many of them having relevance to disease. 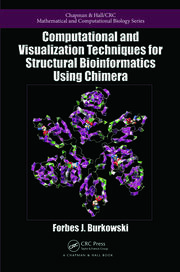 The book could fit well as a textbook in structural biology and molecular biophysics courses. 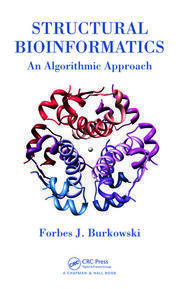 … the book provides general guidelines for understanding protein structure and demonstrates how we can use the structure to phrase testable hypotheses about biological function. … The repeated use of the same example makes it easier for the reader to grasp the general principles. The book gives a coherent picture of each topic … [and] includes ample references, making it possible for the interested reader to dig deeply into various topics. The book also covers structural aspects of intrinsically unstructured proteins and how this property facilitates their biological function. … The book provides background in cell biology, basic chemistry and thermodynamics, making it useful for newcomers to the protein structure field who want to catch up quickly. … it [is also] easy for experts to dive into the more specialized aspects quickly. … The book provides references to user-friendly web tools in the field. The publisher’s website provides exercises on both theory and practice. Sample solutions and PowerPoint presentations are available for qualified teachers. These make the book attractive as the main textbook in an undergraduate course on protein structure. Perhaps also for parts of freshman biochemistry. … useful as supplement for many undergraduate and graduate courses. 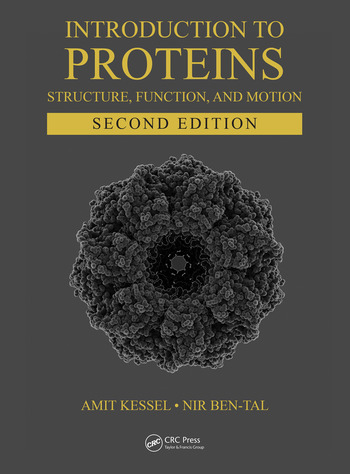 "This is the most interesting to read and complete text I have found for senior undergraduate or early graduate-level coverage of protein structure and function, and a great reference book to have on hand . . . this text is significantly updated and printed in a hardcover format with easy-to-read text (larger font and pages than usual, with margins for note-taking) and comes with annotatable ebook access for free . . . Overall, this is a significantly enriched 2nd edition of a book we have used successfully for several years now, which I enthusiastically recommend!"